There are several reasons why people like to visit Art Galleries. 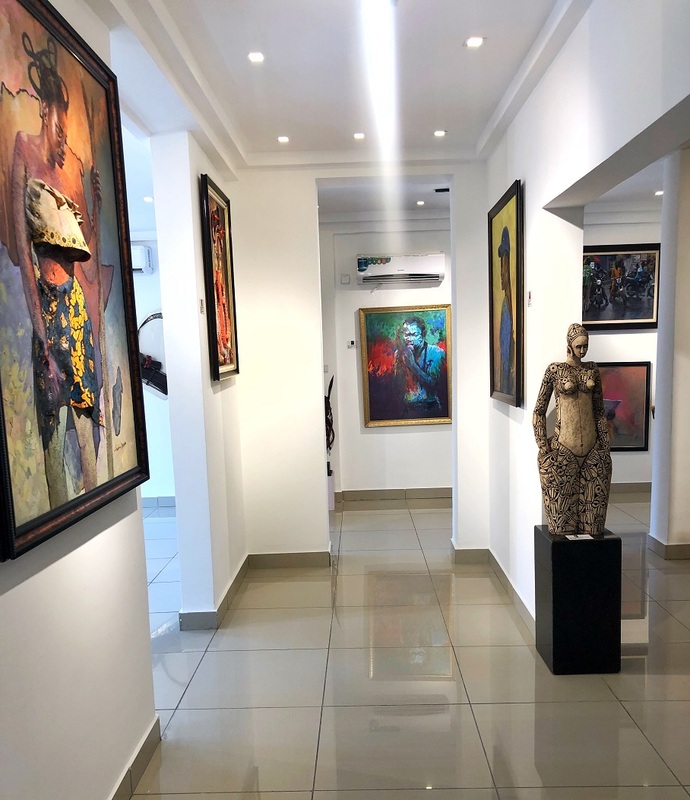 Some like to invest in valuable Art pieces for money, some like to buy Art for decoration purposes and others just like to marvel at the creativity and immense in the energy it exudes. 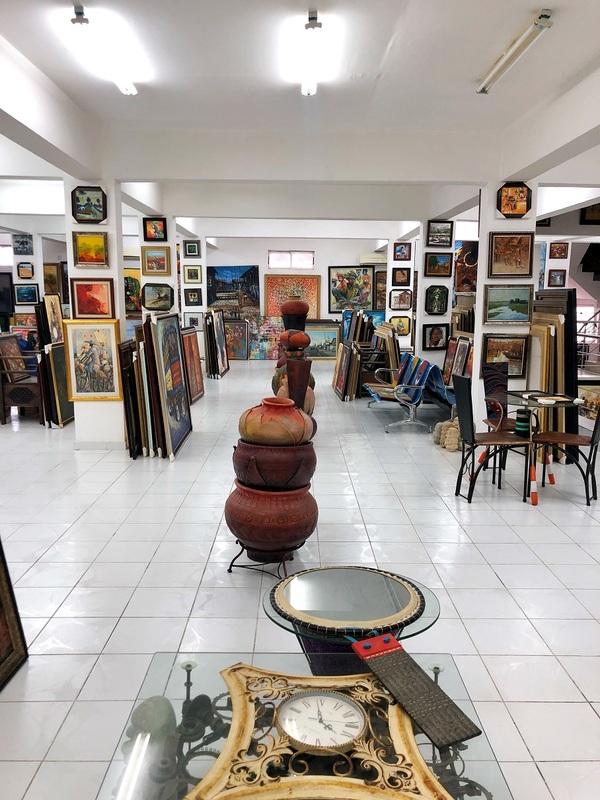 Whatever your reasons may be, you do not want to miss out on the fun of visiting Art Galleries when in Lagos City. 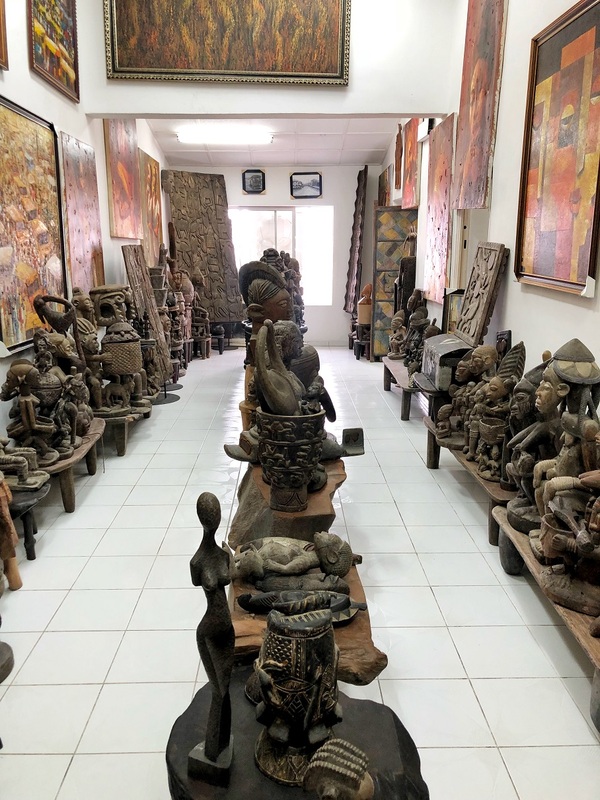 There are Art Galleries located in different parts of Lagos but mostly concentrated on the Island region. 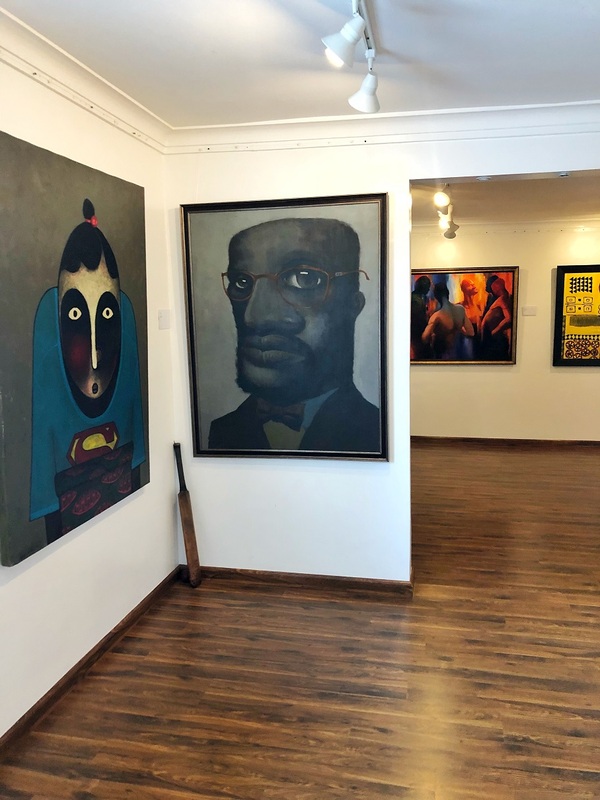 If you are in Lagos for a short time, and want to know which galleries are the cream of the crop, here are the 5 must visit venues you will find among the best Art Galleries in Lagos. 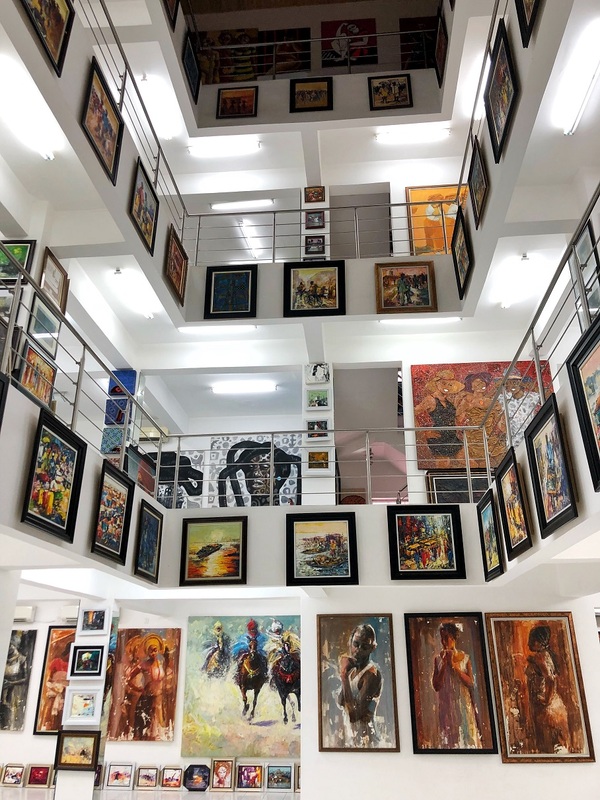 With 4 Art Galleries around Nigeria, Mrs. Nike Okundaye is the undisputed master of the gallery world in Nigeria. 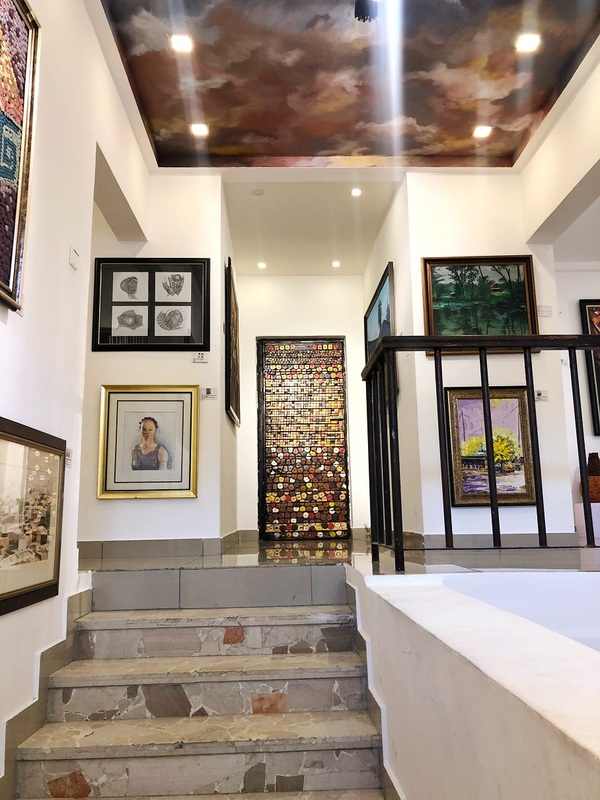 You can’t miss the outstanding art inspired architecture of the 3 story building on arrival and with the Lagos gallery being about 10years old, it houses an extensive collection of Art pieces by over 50 Artists. 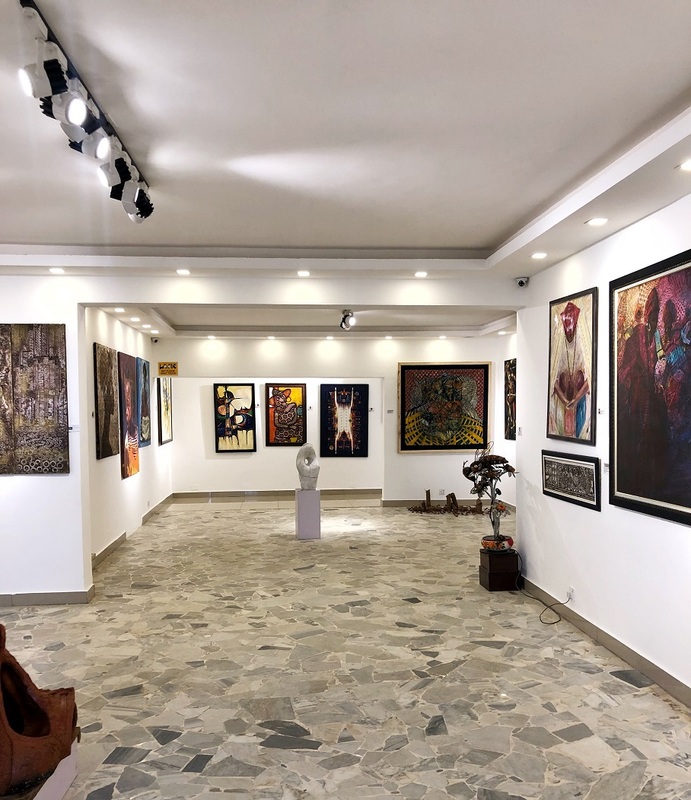 Nike Art Gallery represents only Nigerian Artists and most pieces seen in the gallery tell stories of various Nigerian culture. Visit the gallery and you may be in luck and meet the owner like I did, she always has plenty of stories to tell. Address: 2, Elegushi road, Lekki, Lagos. This 5 years-old contemporary gallery is a quiet space. 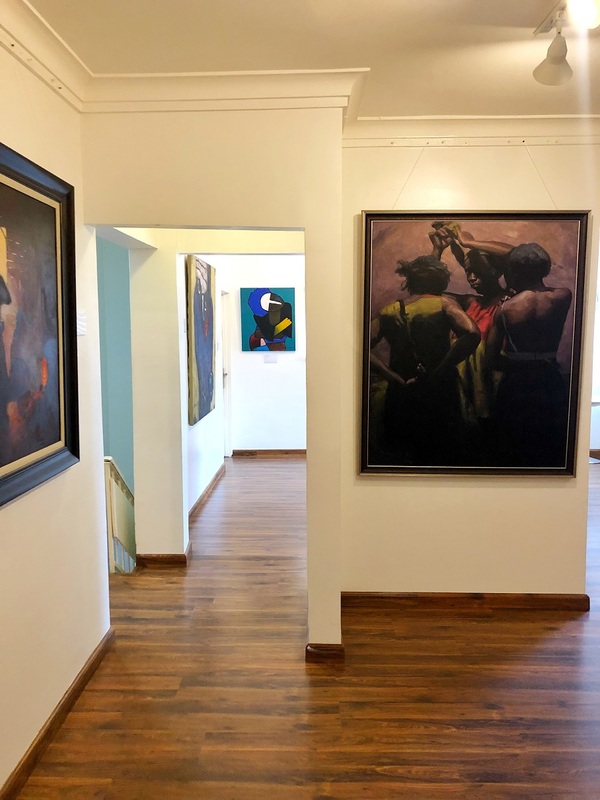 The gallery houses a collection of paintings and installations from outstanding Artists like Nengi Omuku, Oma, Adewale and Peju Alatise. The Gallery is also open to hosting specific cocktail events that are in line with the goals of the space. Address: 51, Bishop Oluwole St, VI, Lagos. 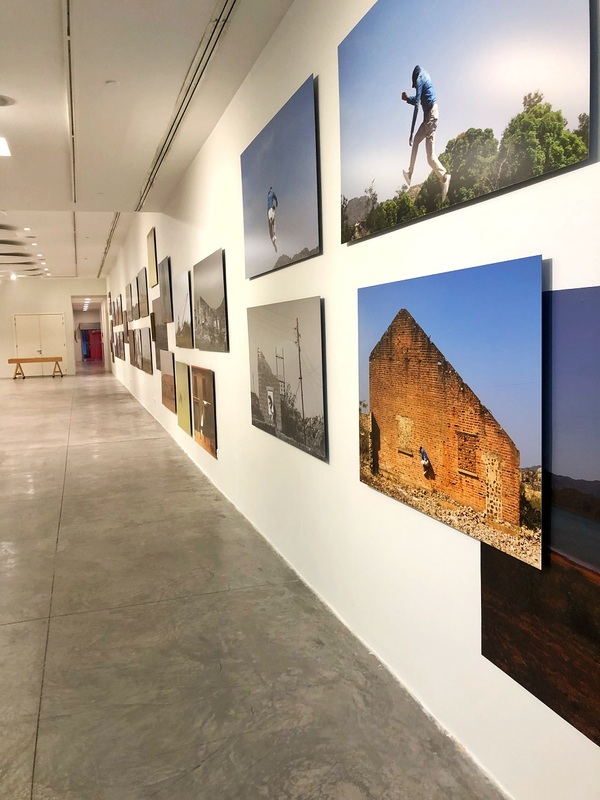 The Art twenty one gallery’s simple and clean design, combined the vastness of the space gives it an impeccable ambiance. 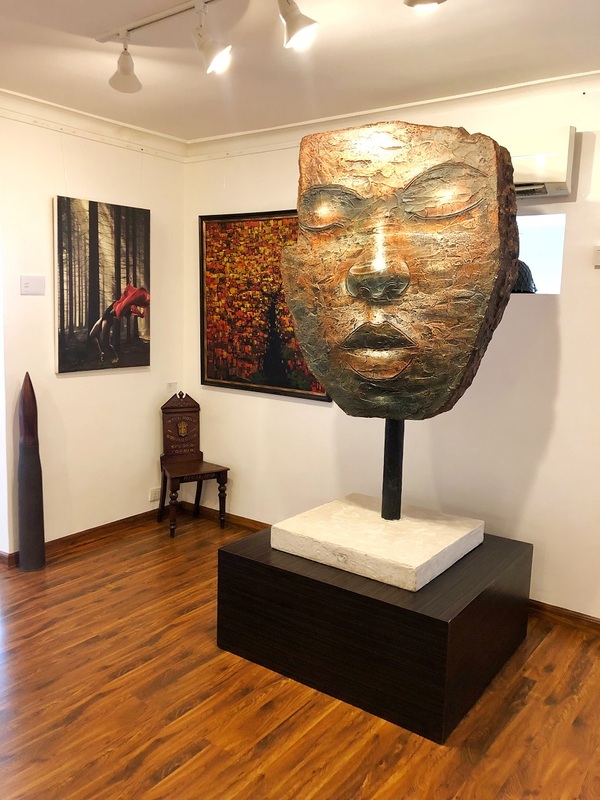 The exhibition “Layers of Time and Place: What Lies Beneath” by Abraham Oghobase, an artistic interpretation of the Artist’s first visit to Jos Nigeria, was on display during my visit. 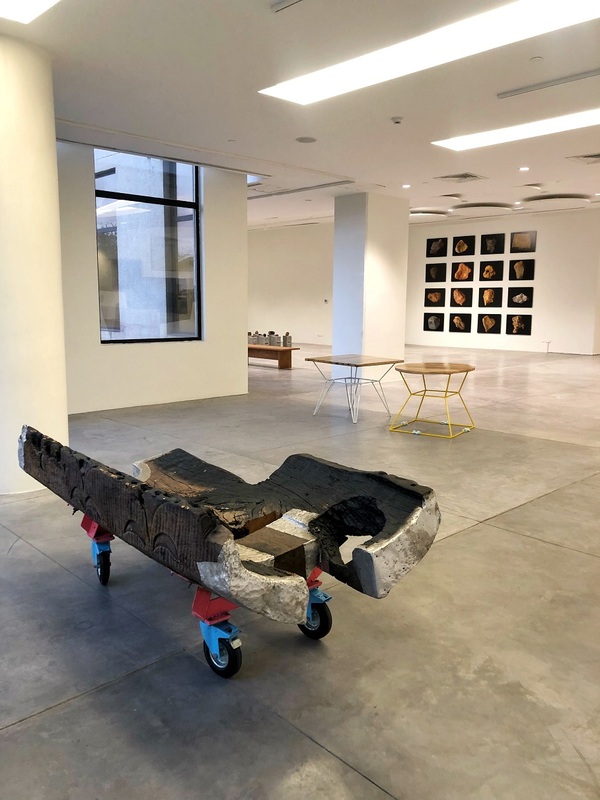 This 600sqm open space makes it unique amongst other Art Galleries in Lagos, and it is also often used as a space for hosting events. Address: Eko Hotel, Victoria Island, Lagos. The term cutting-edge doesn’t have much meaning anymore, but if there was any gallery out there that you could say was still pushing the envelope, it would be Rele Gallery. 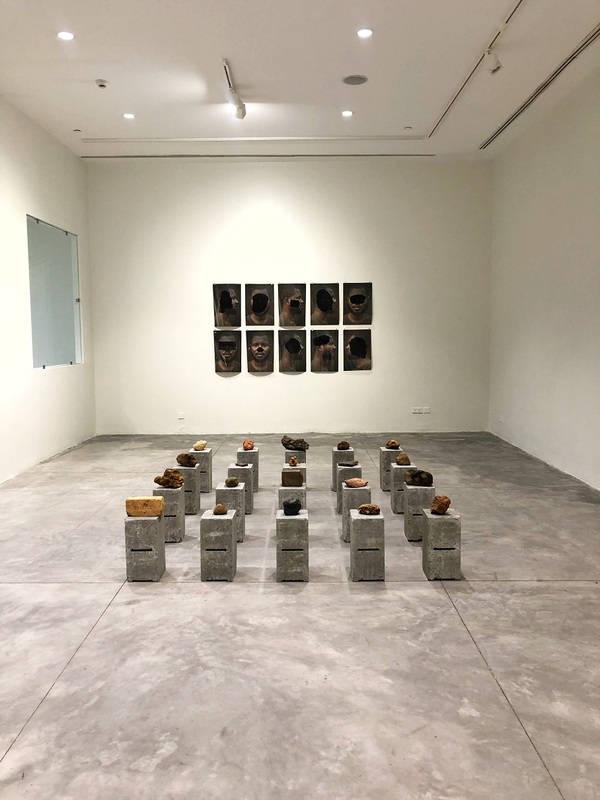 During my visit, the first thing I experienced walking into Rele Gallery was an ambience that was unusually relaxing, as a result of the music playing, which was a part of the exhibition on display – “Interactions”. 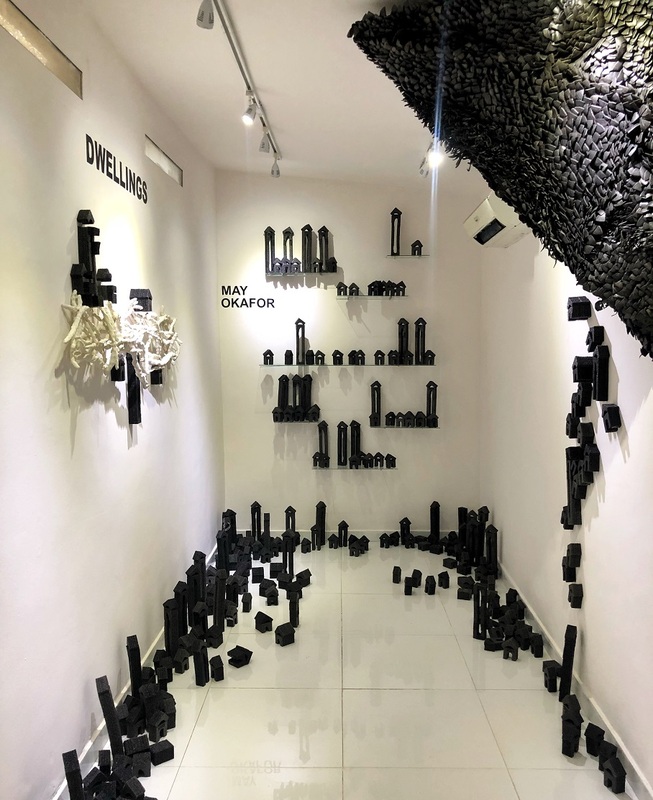 Interactions, which was aimed to offer a fresh perspective on how art can be perceived and engaged with, consisted of installations addressing pertinent contemporary issues of migration, urban development and globalization by the Artists – Obinna Okerekeocha, Patrick Apkojotor and May Okafor. Address: 5, Military Street, Lagos. 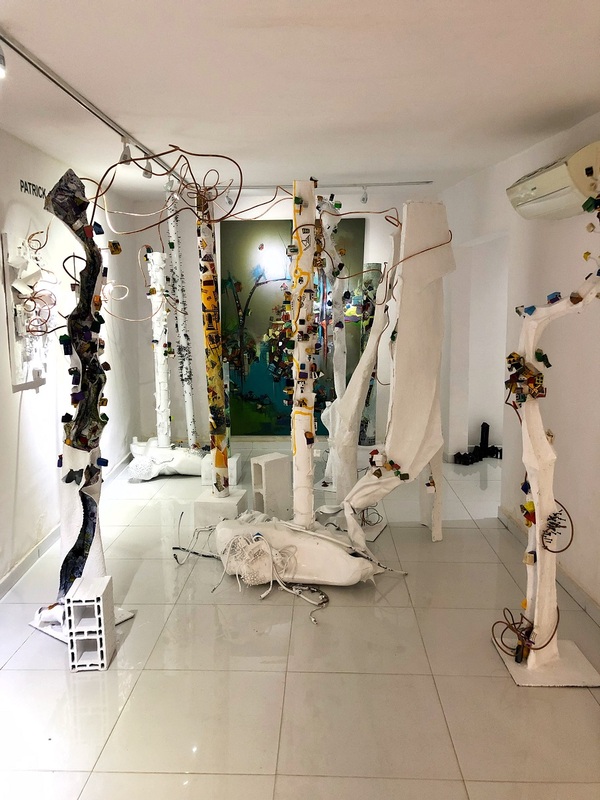 Another Gallery with architecture that reflects art and creativity, welcomed into Lagos only in 2017 but already houses a remarkable collection of art pieces from various talented Nigerian and African Artists. 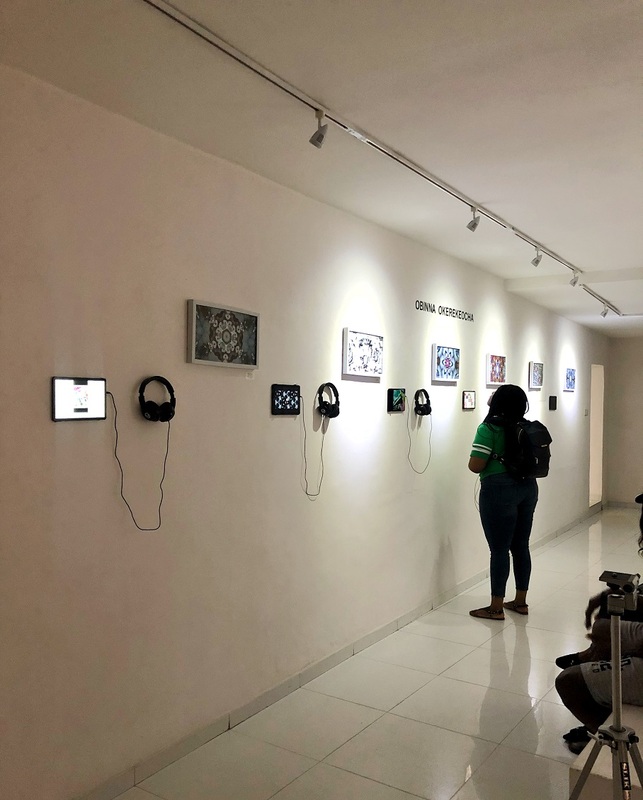 I visited the Gallery on the opening day of the exhibition “October Rain 2018”, a group exhibition by artists under the umbrella body of SNA, Lagos chapter. One unique feature the gallery possesses is the idea of publishing a catalogue for every exhibition and having them sold within the gallery, for visitors to view past installations that may no longer be available for viewing at the time of visit. Address: 96, Norman Williams St, Ikoyi, Lagos.